This afternoon the husband and I went out to Kennedy Creek Salmon Trail to watch the salmon do their thing. It’s another drippy day, but we managed to get out between showers (for the most part. We did get a little wet). 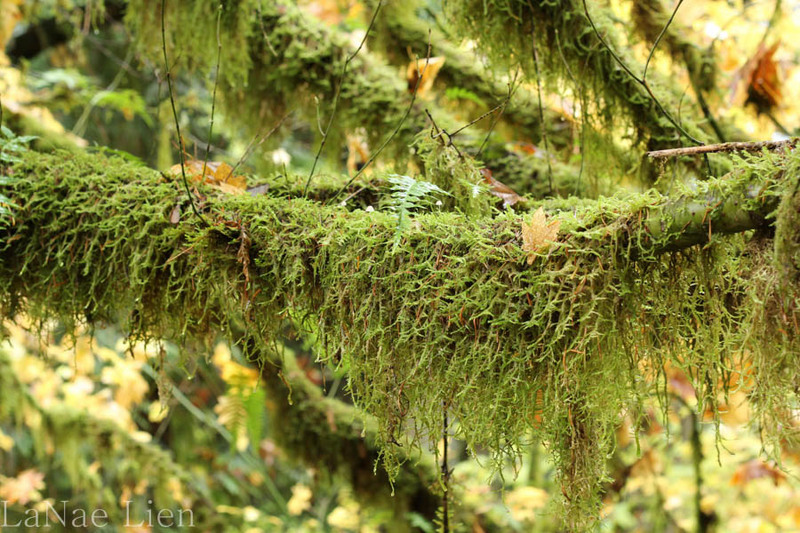 We grow a fine crop of moss here in the Pacific Northwest! 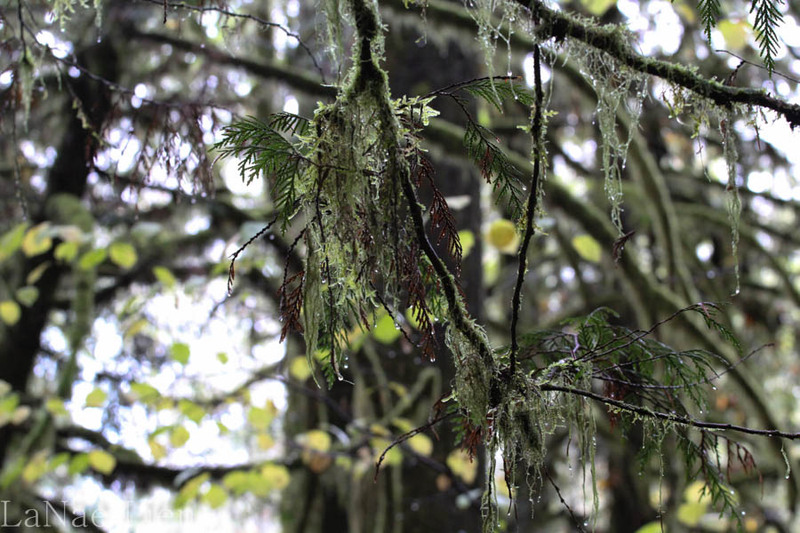 Kennedy Creek is home to four of the seven Pacific salmon species: chum and coho salmon and steelhead and cutthroat trout. These fish hatch in freshwater streams and migrate to the ocean to mature. After a few years they return to fresh water to spawn. 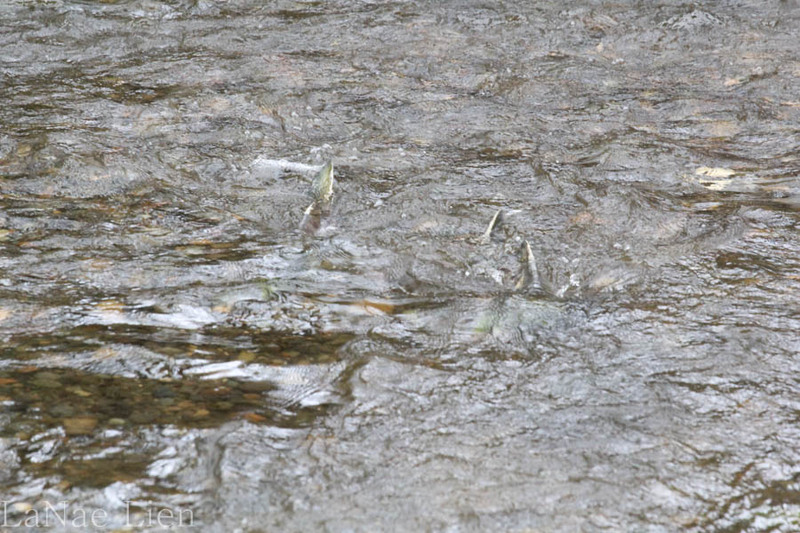 Salmon spawn in the fall and steelhead and cutthroat trout spawn in the spring. Most species live in the stream for a year or more after hatching, but chum salmon spend very little time in fresh water. 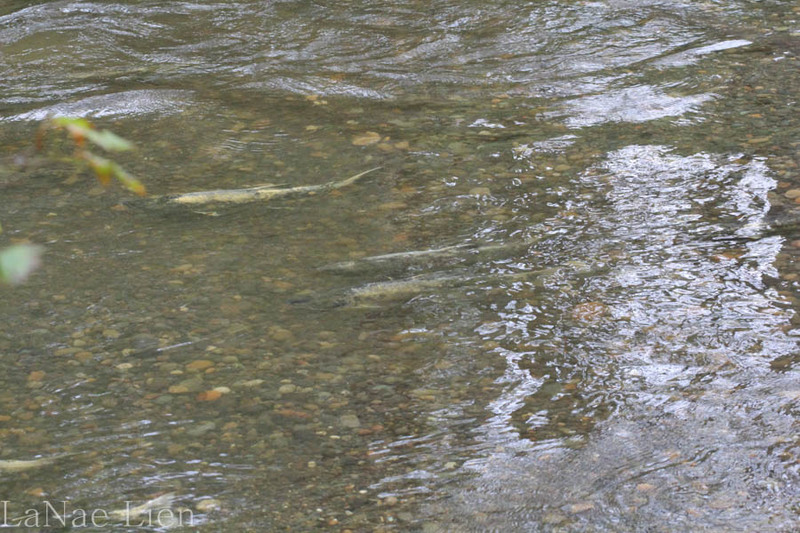 Chum salmon is the most common species in Kennedy Creek. Kennedy Creek can be a hive of activity at spawning time. The chum work their way upstream, sometime through incredibly shallow water, to find spawning sites and mates. It’s a tough battle, made obvious by the number of carcasses littering the stream bed. 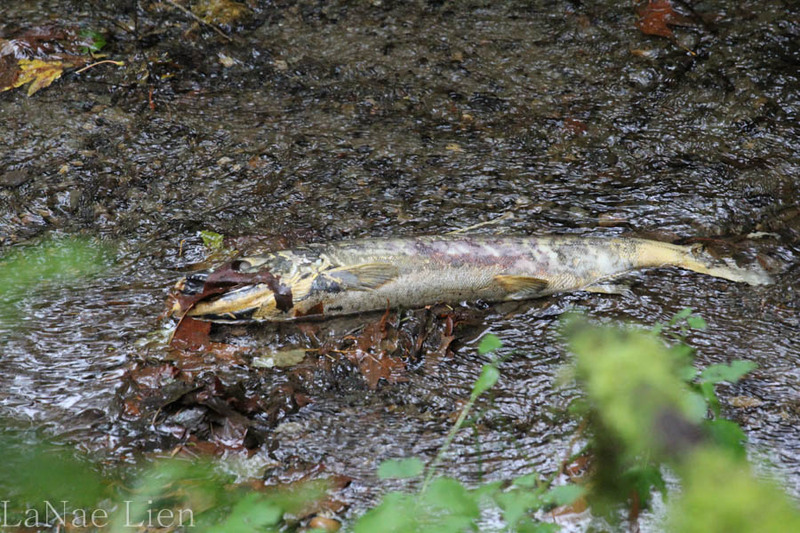 Interestingly, chum salmon die after spawning. 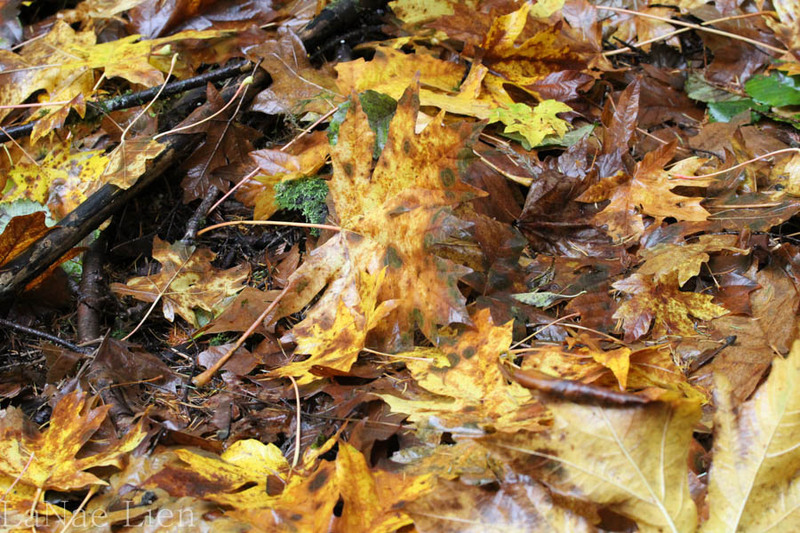 We imagine that the creek bed is a raccoon party-spot after all of the people go home. The spawning process is…well, quite the process. First, the female noses the stream bottom, searching for a place with clean gravel and ample water flow to deposit her eggs. Males and females bite and chase each other as they compete for spawning opportunities. To prepare for egg laying, the female turns on her side and flexes her body vigorously to dig a depression in the gravel. She will dig several impressions in one area. Easy lunch behind, but the focus was on the fins before her. While the female digs, the male courts her by vibrating his body slightly as he swims alongside her and crossing over, in which he swims from side to side over her back. The female then lowers herself into the depression and waits for the male to pull alongside. From a small opening under the belly near the tail, they release their eggs and sperm into the depression. The eggs sink into the depression and are covered with gravel. A female can lay up to 4000 eggs. After the eggs have been laid the females stay in position, guarding the eggs, until they die. The male moves on in search of other females until he, too, dies. The average lifespan of a chum salmon is 3-4 years. The eggs will hatch in about 4 months. 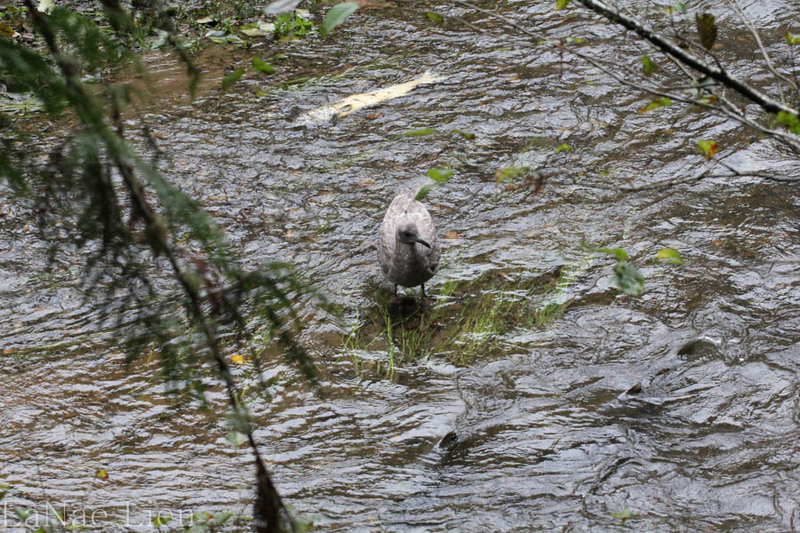 The babies will immediately head for the ocean where they’ll remain until it’s time to return to Kennedy Creek to spawn. I so enjoyed this post. Beautiful photos and I learned something. So interesting! Our drought in Cal is making it nearly impossible for the salmon to do their thing. If we keep getting rain though, we may be OK. 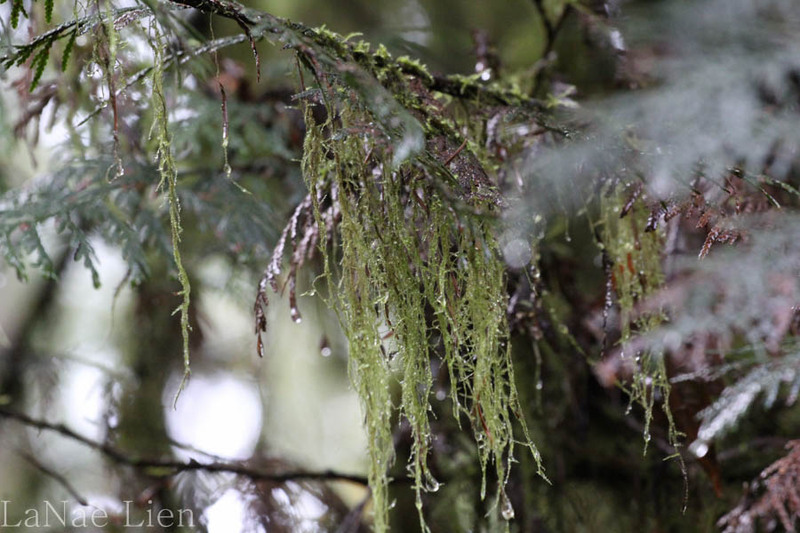 Very cool post with great photos, Lanae!